commitment, hard work, education, and lots of support. Let's face it, we can exercise until the cows come home but if we don't incorporate the right amounts and choices of what we eat, all of our hard work seemingly is in vain. Restrictive and fad diets are not the answer. Sure they may appear to work initially, but over time, they are neither healthy nor realistic to maintain. Eventually leading to more weight gain and a slower metabolism. 1. Setting realistic goals that are of value to you and no one else. 2. Education on good nutrition and exercise. 3. Support from family, friends and wellness coach. 4. Accountability to wellness coach and exercise buddies. IF YOU ARE READY AND SERIOUS about losing weight, changing your body composition, and creating healthy exercise and nutrition habits this is the CHALLENGE for you. FIT 2 THE CORE/NUTRITIONWORKS will be beginning the NEW YEAR NEW YOU FITNESS AND NUTRITION CHALLENGE. Yes both NUTRITION AND EXERCISE!!! *Each participant will have unlimited trainings per week, 1 cardio training day per week, and 1 Nutrition Coaching day per week. *Participants will have their pictures, measurements, weight and body composition taken at the beginning and end of challenge as well as other designated weigh-ins. *Each participant will complete a Resolution's worksheet to set goals and strategies for the Challenge. Smaller weekly goals and strategies will be discussed as a team, and implemented at weekly nutrition meetings. Points will be awarded for weekly goals achieved. Each time a participant does not complete a required task they will pay $5.00. At the end of the month the person with the most points gets the MONEY! Prizes will be awarded to the first, second, and third place participants who lose the most % of body weight and body fat. .
LET THIS BE THE BEGINNING OF THE NEW YOU!! Reserve now and be rewarded later! Regular broken down cost for all included $625!!! 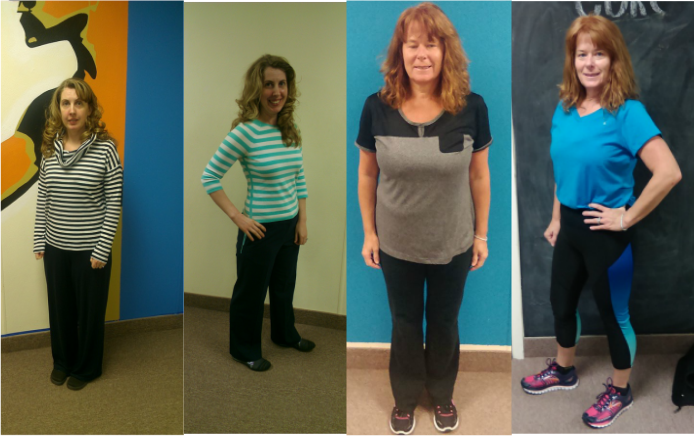 Take a look at our member Diane's testimonial for the New Year, New You challenge!